Three different takes on the glorious 48-bar jig composed by Simon Ritchie. Nick (duet concertina) and Tom (fiddle) recorded this haunting rendering on their 2014 self-titled CD. 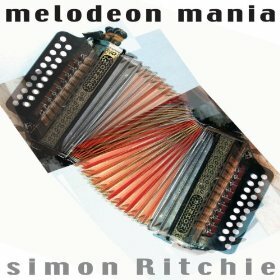 Simon and His So-Called Band recorded the original barnstorming version on their 1998 album Melodion Mania. I hope to post up a Spotify link here soon, but in the meantime you can hear the track on Spotify, and download it from Amazon.